MSH Architects’ expertise in Masterplanning was called into play to orchestrate and design this "everything auto" 200-acre mixed-use campus. Revv City Motor Park establishes a new model for servicing automobiles. The intent of this multifaceted development is to provide not only automotive repair of every kind, but also all-day entertainment. The development will include a variety of restaurants and overnight accommodations from - a luxury hotel to a car-themed R.V. park. At the core of this auto experience is Revv City Center, a comprehensive full-service auto shop with a variety of automobile services, retail shops, a food court, and an automotive museum. 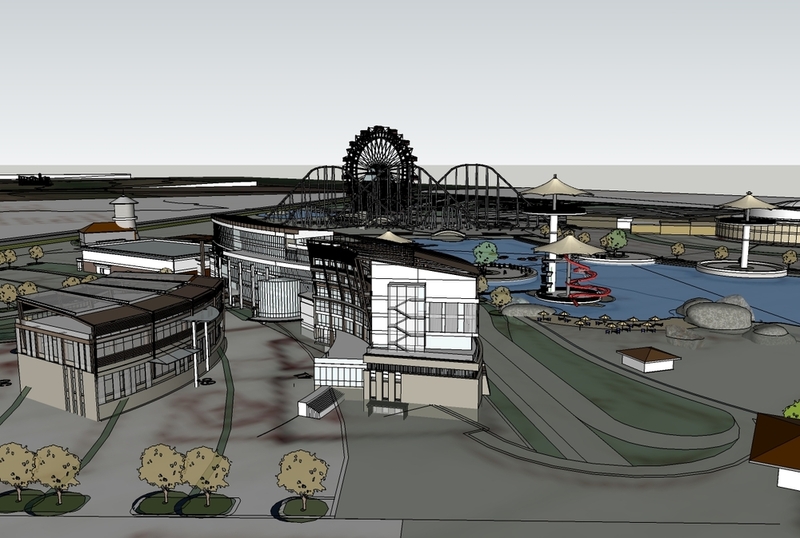 Other site amenities include a full service fuel/lube/wash/repair for big rigs; a theme park with an extreme drop roller coaster and spokeless ferris wheel; and a stadium to house sporting and concert events in every season.